You can hand your lease car back and terminate your lease contract at any time. However, like with any financial contract, there will be a penalty for doing so. The penalty for terminating your lease contract early will depend on a number of factors. Primarily it will depend on how long is left on the lease contract. In this article, we’ll take you through the process for each lease type. We’ll also detail what financial penalties you could expect to pay. If you have a hire purchase lease and you want to hand the lease car back early then you can. This is known as a voluntary termination. Voluntary termination is the legal right of a borrower (you) to cancel your finance agreement early. The right to voluntarily terminate your regulated Hire Purchase (HP) or Personal Contract Purchase (PCP) agreement is provided in UK law (Consumer Credit Act 1974, Section 99) and should be included in your contract documentation. It exists to offer protection to consumers who can no longer afford their monthly payments. It equally provides some protection to finance companies. This is to ensure borrowers can’t simply walk away from their obligations at any time. The amount you have to pay will depend entirely on how long you have satisfied the contract for and the depreciation of the vehicle. A car loses the most value in the first year of being on the road. However, your payments are not higher in the first year of your contract. Your finance agreement spreads the depreciation out over time. Example: Your lease contract was for three years and after one year you want to hand back your lease car. The penalty to pay will be larger than if you had satisfied two years of the contract. Depreciation of the car would have been calculated and built into your monthly repayments over a three year period. If you have only paid one year of depreciation then the finance company will lose money by reclaiming a car that has a lower value than your payments have covered. The exact amount payable will be written in your contract. Make sure you have the remaining fee available to end your agreement. To qualify for voluntary termination, you need to pay 50% of the total amount payable including interest and fees. Then you can hand back the car with no further charges. The only exception is if the vehicle has not been properly maintained. Or if it has incurred damage above reasonable wear and tear. Finally, you may also be charged if you exceed your mileage allowance. PCP agreements mean that customers have the right to exit their agreement after half the total amount payable has been paid. Call your finance company and discuss your options. If you’re struggling to make your payments they may be able to offer you some assistance to avoid you having to terminate the contract early. If you still decide to progress with an early termination then notifying by phone in the first instance is best practice. Then, send a notice of termination letter to your vehicle finance company. If you’re not sure where to start, here’s a great template letter. Some finance companies will have an early termination form which you’ll need to complete before they will collect the vehicle. Make sure before you sign that you agree with everything listed in the clauses. You could end up paying additional fees that you weren’t expecting. The finance company will then contact you to arrange final payments and collection/inspection of the vehicle. A common question asked by people considering early termination is whether it will affect their credit score. I’m pleased to tell you that this will not affect your credit score because you are satisfying the agreement within your legal rights. The voluntary termination will be noted on your credit file, but this is nothing to worry about. There could be many reasons why the contract was terminated and no details are disclosed in the notes against this entry. In short, this will not affect your ability to claim future credit. 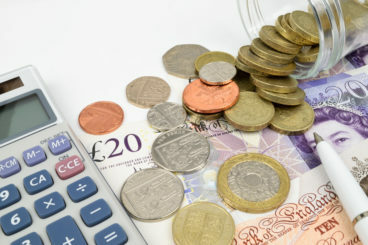 The finance company providing you with the loan may not favour lending to you in future, but broadly speaking your ability to claim credit will not be affected. 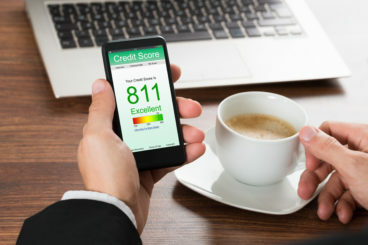 However, If you have missed or late payments on your account this could affect your credit score. If you have previously defaulted on your contract then your lease company can refuse your request to terminate the agreement early. The rules for voluntary termination are different if the finance company are trying to claim costs because of missed payments. Will I need to pay an excess mileage fee? If you satisfy the whole contract then excess mileage fees are payable if you go over your contracted mileage. Similarly, if you voluntarily terminate the contract before the end of the term and you have exceeded your pro-rata mileage allowance then there will be a fee to pay. This is because the value of a car is directly linked to its mileage and your finance company could lose even more money if the mileage is higher than what you have been paying to cover. Can I terminate a business lease or contract hire agreement early? An early termination is an option for contract hire vehicles but the costs are much higher than 50% of the total amount payable. Again, your contract paperwork will have details of the penalties. The deficiency of the car on resale. This is when the finance company sells the vehicle but the sale price does not meet the amount needed to satisfy your lease. In this instance, you will be required to pay the difference. n most cases, the finance company will send an invoice highlighting the deficiency amount for you to pay. If this remains unpaid then the finance company can direct the case to a third-party collection agency. Should a collection agency be instructed then the fees can soon mount up and become astronomical. 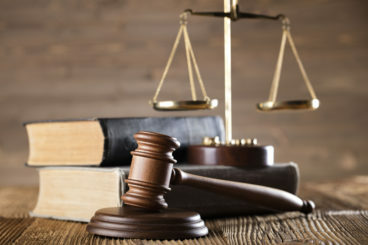 If you do not pay the deficiency then the finance company can file a court judgement. The court can order the money to be paid directly from your salary or seize your bank account. If you can, it is best to enter into a voluntary agreement with your finance company or opt for voluntary termination. My lender tells me that because my agreement is in my company name, the agreement is not regulated and therefore I cannot request a voluntary termination. I had to check with our finance team. Your lender is correct, if the agreement is in the name of a limited company or a partnership with more than 3 partners then the agreement is not regulated. However, it is possible for you to request a settlement figure. If you are looking to replace your vehicle with another one then we can help you. Call our vehicle experts at any time and they will talk you through the process of leasing or purchasing a new car. I have a commercial vehicle on a 5 year lease with a balloon payment. can I hand it back after the 5 years are up? without penalty? It depends on how it’s been financed. It would be best if you spoke with your Finance House or the Dealership. If you’re based in the UK and considering another vehicle once you have found out your status with your current one, we have a team of experienced vehicle specialists who would be only too happy to help you. Hi Sandra, I am really sorry to hear that your current vehicle is not comfortable. Unfortunately, you will not be able to hand the car back. You will need to get a settlement figure from the funder to understand the cost to get out of the contract unless the dealership gave you any reassurance it would not cause you the pain you are experiencing. We would be more than happy to look into what options are available to you, but we would need to know the settlement figure first. If you need any further information or would like to talk this through in more detail, please do call us on 01903 538835. We lease a car as part of a salary sacrifice scheme through my partners work. About a year ago it started to develop a noise within the engine. It went into the garage on two separate occasions but wasn’t fixed. Six weeks ago the noise got worse so we booked it in the same garage. After being messed around by the garage and lack of communication from them, we were told that the problem had been fixed and the car would be ready for collection today. Unfortunately this was not the case and I received a call to say they are having problems reprogramming it. My question is are we within our rights to end the lease early (it has 3 months remaining) as I have lost all confidence in the garage to fix it correctly and in the car to not break down and leave me stranded. Hi Carrie, From a legal standpoint we don’t believe you would have the “rights” to hand the vehicle back early to the funder. We suggest you call the company who manages the Salary Sacrifice scheme and tell them what is happening and ask them if they would take the vehicle back early. The other option would be to get an early settlement figure to hand it back sooner. We would love to have the opportunity to discuss with you what you would like as your next vehicle. If this is something you would like to do, please call me on 01903 538835 where I can put you in contact with one of our Vehicle Specialist to see if we can help. Without seeing the Agreement we can not say, however it will depend on how much deposit you paid, if you have a look at the finance agreement you will have a section called “Termination Rights” and in this box will be a figure, this will be half of the total amount payable, which includes the deposit, once you have paid this amount you can hand it back as long as you have kept to all the other conditions of the agreement. Alternatively, if this is not an option you can ask for a “Settlement Figure” then sell or part exchange the vehicle to clear the finance. If you are looking for another car then give us a call and we can have a look for the best way for you to move forward.